In a fit of over-ambition, I’ve signed up for two awesome reading events that are taking place over the next week across various social media channels. Today marks the start of 24 in 48, a read-a-thon during which ambitious participants aim to read for 24 hours out of the 48 hour weekend. I participated for the first time this summer, and succeeded in hitting that goal thanks to a combination of dedicated reading and audio books. Having hit that high bar once, I am planning to rest on my laurels and take a more relaxed approach this time out, and instead use the event to make sure I log a solid block of reading time this weekend. Overlapping with 24 in 48 is Diverse-a-thon, an event that started on BookTube in September 2016. This is their second outing, which is expanding beyond BookTube to include book bloggers and Bookstagram. The purpose of this read-a-thon is to bolster marginalized writers, and particularly own voices titles. Taking part in this read-a-thon seemed like a natural extension of my participation in the Read Diverse 2017 challenge. This is a longer event that runs from January 22 to 29, which means dedicating an entire week to diverse reads! So what’s on my TBR for these two events? The first two books in Erika Johansen’s series, The Queen of the Tearling and The Invasion of the Tearling, introduced an intriguing world that is part fantasy and part dystopian, centering around the ascension of Kelsea Raleigh Glynn, and her fight to retain her throne. This one tops my list because I am curious to get answers to the many questions that were left unanswered at the end of the second book, and also because this is the next book in my stack due back at the library. It is impossible to have a really good 24 in 48 without audio books, for me at least! Suddenly, necessary chores and exercise are transformed into additional reading time on the clock. Jhumpa Lahiri wrote this book in Italian, and it was translated into English by Ann Goldstein. The audio version is then performed by the author–talk about layers! This autobiographical work describes Lahiri’s 2012 move to Rome in order to immerse herself in the Italian language. I am fascinated by bilingualism, and the process of learning another language, so I can’t wait to check this out. Phoebe Robinson is a comedian best known for her podcast, 2 Dope Queens, with Jessica Williams. I have to admit that I have never listened to it, but I discovered this collection on a display at my library. A book of essays seems like the perfect choice for reading in bits and pieces throughout a week-long event. And since I love to laugh while I learn, this seems like a strong pick for getting an own voices perspective on being a black woman in America. Bonus task: Listen to an episode of 2 Dope Queens sometime this week. I’ve seen so many good reviews of Gabby Rivera’s book around the blogosphere, that I finally decided to request it from the library. And what do you know, it landed in my lap just in time for diverse-a-thon. Juliet has just come out to her Puerto Rican family, and is now moving across the country for an intership with her feminist hero, Harlowe Brisbane. But when she arrives in Portland, she quickly realizes that Harlowe’s feminism doesn’t seem to have room for people like her. A story about the importance of intersectional feminism seems like just thing for diverse-a-thon. Naturally, I reserve the right to shake up my TBR at a whim, as the spirit moves me during the read-a-thon itself. Plans are worthless, after all, even if planning is everything. Now let’s get reading! Are you participating in 24 in 48 or Diverse-a-thon? What’s on your TBR? Link me up! After putting a stop to the shipment of Tear slaves to the neighbouring kingdom Mortmesne, Kelsea Raleigh Glynn is the Queen of a country on the brink of war with a vastly more powerful enemy. Though the Tear sapphires delayed their doom in the confrontation at the Argive Pass, the Mort army is now marching inexorably on New London. As Kelsea undertakes a desperate evacuation of the Tear countryside, she finds herself losing time, slipping into a fugue state where she inhabits the pre-Crossing life of a woman named Lily Mayhew. Kelsea clings to the Tear sapphires, hoping against hope for another miracle, even as the stones seem to be working a terrible change on her body, and perhaps even her mind. Opposed by the Church, and doubted even by her closest friends and allies, Kelsea struggles to figure out the connection between her visions of Lily’s crumbling world, and her own current predicament. 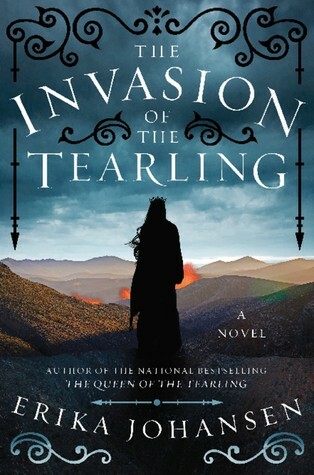 The Invasion of the Tearling is told from the perspective of several characters, both major and minor, including an officer in the Tear army, and a jailor in the Keep, as well as the Red Queen of Mortmesne, Kelsea, and finally, Lily Mayhew, the pre-Crossing woman with whom Kelsea shares a mysterious connection. 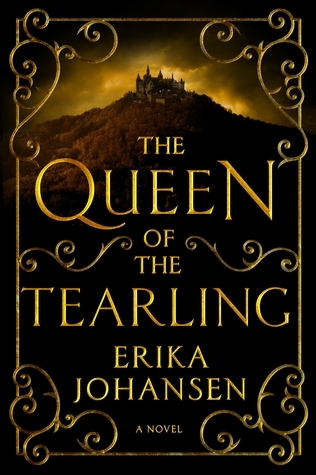 In The Queen of the Tearling, Erika Johansen kept the history of the founding of Tear close, leading to some confusion about whether it was set in a fantasy world, or our own world after some devastating apocalypse. With the daring and perhaps divisive narrative decision to include Lily’s perspective, Johansen begins to provide some overdue answers about the Crossing that preceded the founding of William Tear’s utopia. The Invasion of the Tearling is a compulsive read, and Johansen’s pacing is tantalizing, due in large part to the shifting perspectives, which cut in and out at key junctures. I hated being torn away from the answers finally being provided in Lily’s point-of-view, and was burning with curiosity about what she would reveal next, but by the time we returned to her, I had become thoroughly reinvested in Kelsea’s problems and perspectives. Truly, Johansen manages the shifting narration with a deft hand, even though her timing is maddening. But though the suspense kept me turning the pages, what I found there was not always satisfying or fully explained. Steady and decisive in The Queen of the Tearling, Kelsea becomes an inconsistent and unpredictable character in The Invasion of the Tearling, buffeted by the supernatural and unexplained forces of the dark thing and the Tear sapphires, as well as the impossible predicaments and responsibilities of her crown. Though she remains focused on doing the right thing by evacuating her people from the path of the Mort army, she seems to have lost her moral compass in many other respects. With the workings of the Tear sapphires still unexplained, and the extent of the dark thing’s influence unclear, it is hard to say which changes originate where, and to what ultimate effect. It was fascinating to watch Kelsea slowly amass power and respect in The Queen of the Tearling, but as her power continues to grow in unexplained ways, that hard-earned respect quickly gives way to fear. Johansen will have a lot of work to do to fully justify these changes and rehabilitate her protagonist in the final volume, and much rests on how she brings it all together. Certainly, the plot’s heavy reliance on a piece of unexplained magic or technology—the Tear sapphires—cannot continue. The Tearling was intended to be a socialist utopia, founded after an apocalypse that left humanity with only remnants of the age of science. But in the centuries since, the dream has fallen apart, and this New World is reminiscent mostly of Europe’s feudal Dark Age. The heir to this beleaguered kingdom is Kelsea Raleigh Glynn, who has been raised in hiding since the death of her mother, Queen Elyssa. On Kelsea’s nineteenth birthday, the remaining members of her mother’s Queen’s Guard arrives at her hidden forest home to fulfill their oaths to her mother by escorting Kelsea to New London to assume the throne. There she finds a kingdom in disrepair after years of profligate rule under her Uncle’s Regency, but also the consequences of her mother’s final years on the throne. Stunned by the horrific injustice that has plagued her kingdom for decades, Kelsea’s first brave but impulsive act as Queen sets Tearling on the road to war with the powerful neighbouring nation of Mortmesne and its sinister Red Queen. Erika Johansen’s fantasy debut is the gripping tale of a young Queen fighting for her throne against impossible odds. The political machinations are not especially sophisticated, but it is fascinating to watch Kelsea slowly win over new allies. Her isolated upbringing has turned her into something of an idealist, but she comes up short in terms of practical knowledge of how to execute her policies, so it is a constant battle to earn the trust and respect of the people she needs to help her retain her throne. Her youth and her gender both make her task more difficult, but so does the fact that her mother and uncle were incompetent rulers. Her insecurity about her plain looks is a little bit grating, but hopefully it will transform into self-confidence as she grows into her crown. In terms of genre, The Queen of the Tearling is a curious blend of fantasy and dystopian, with the story set in a post-apocalyptic world, which seems to have caused much confusion amongst readers. The Tearling was founded as a utopian, technophobic society that allowed only medical science. However, even much of the medical knowledge was lost in the Crossing, so while the story acknowledges our world, history, and ideas, in practice, the Crossing cut the people of the Tearling off from most advancements, returning them to the medieval society that is a hallmark of fantasy. There is magic in the world of the Tearling, from the Sight to weather magic, to enchanted objects, but it is impossible to know if it is really magic, or merely some form of science that the Tearling have not lost, but no longer understand. 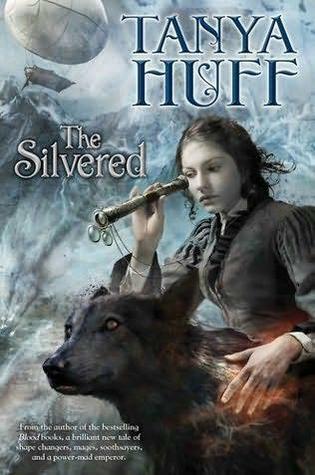 Johansen plays her hand close to the vest, and there is much to be revealed in the coming sequels that may leave readers of the initial installment frustrated.